Join Wisconsin Network for Peace and Justice, The Racial Justice Tipping Point and partners for a community celebration and connecting fundraiser. We are in the midst of some bleak times, but also times of great inspiration and possibility. We invite our members from around the state to Madison for an opportunity to connect and build community with other organizations and individuals working through challenges to re-ignite and revolutionize! There will be food, poetry, awards, dancing, and speed networking for liberation! 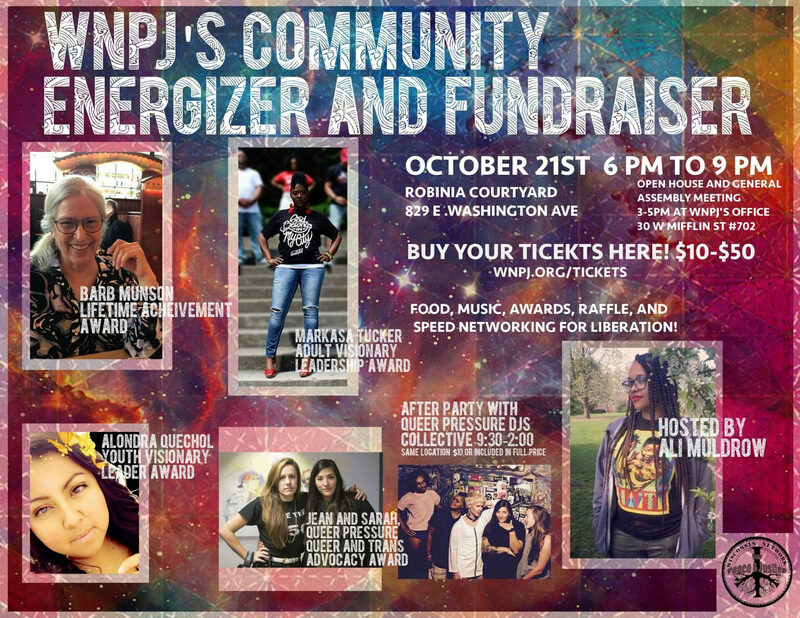 A social hour and Fall General Assembly will take place beforehand from 3-5pm at WNPJ’s office, 30 W. Mifflin.